Throughout its two divisions, Savencia Fromage & Dairy manages a unique portfolio of international and local brands, renowned within their own markets. In France, Savencia Fromage & Dairy has a unique portfolio of cheese brands to suit every taste and use: soft ripened cheeses such as Caprice des Dieux, Saint Albray, Le Rustique, and Cœur de Lion; blue cheeses like Saint Agur and Bresse Bleu, fresh cheeses such as St-Morêt, Tartare and Carré Frais; aperitif snack cheese with Apérivrais; goat cheese including Chavroux and Saint-Loup, and RichesMonts raclette. In Germany, Savencia Fromage & Dairy is the branded cheese market leader, managing six of the top twelve brands. Three are French, made in France for German consumption: Géramont, which climbed its way to No. 1 of the German cheese market, Saint Albray and Fol Epi. Three are German brands, made in Germany: Bresso, Milkana – the No. 1 processed cheese -, and Brunch, the leading spreadable. In Central Europe, the portfolio of European brands includes major local brands such as Lucina and Král Sýrů in The Czech Republic, and Medve in Hungary. In Russia, well-known brands of traditional Russian cheeses manufactured under the Belebeevsky brand and specialty cheeses manufactured under the Belfor and Belster brands satisfy consumers in this country with a high consumption of cheese. Further afield, Savencia Fromage & Dairy exports its specialty cheeses worldwide, as well as selling local brands renowned for their quality such as Alouette in the USA, and Polenghi in Brazil, where Polenguinho pioneered snack cheeses. Aside from local recipes, some cheeses succeed internationally due to changes in the manner in which they are used. This is the case with sliced cheeses, spreadables and portions. Savencia Fromage & Dairy establishes its facilities in the best regions, such as Normandy for Le Rustique, Poitou-Charentes for Saint-Loup, the Basque Country for Etorki and Bavaria for Milkana. The same applies to the mountain milk from the Tatras in Slovakia for the Liptov brand. PDO* cheeses such as Maroilles Fauquet in Thiérache or Epoisses Berthaut are genuinely authentic. In order to satisfy all the expectations of both consumers and industry professionals, Savencia Fromage & Dairy offers full ranges of butter and cream. As the No. 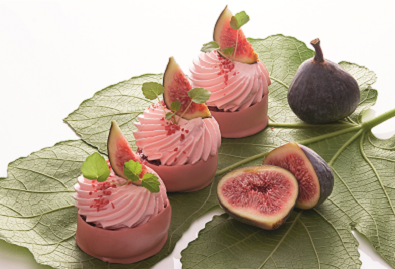 1 cream brand in France, Elle & Vire has developed a very broad range of cream, in addition to sauces and preparations for desserts. Elle & Vire is also one of the leading butter brands with a varied range of traditional, spreadable and light products. 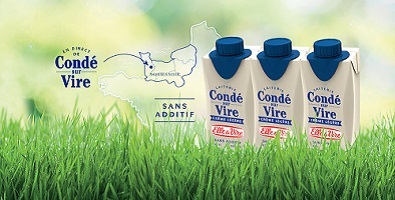 Elle & Vire Professionnel is the benchmark brand among chefs in leading hotel chains over the world for creams, butters and dessert ingredients. A world leader in special butter, Corman is No. 1 for butter in Belgium through the Balade brand – renowned for its light and tasty products such as Balade Vital butter, which contains 80% less saturated fat than traditional butter. 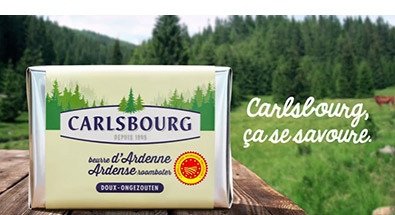 As with cheeses, butter from specific areas complete the range, including Surgères Charentes-Poitou PDO butter and Carlsbourg PDO butter produced in the Belgian Ardenne. Corman signs the butter preferred by the best artisans. 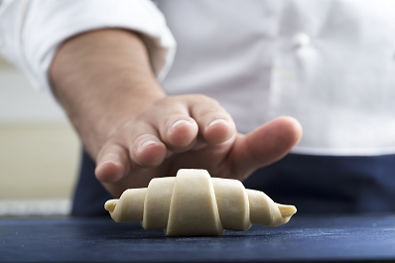 An innovating pioneer, the brand was the first to create sheet butter for the preparation of flaka pastries and croissants. Its unique know-how is founded in the selection of the best raw materials, mobilization of their properties using exclusively physical processes and natural recipes.